✔Expand Excel native math function with a super set of powerful solvers. ✔Use the solvers in standard formulas exactly like native math functions. ✔No coding. No learning curves. Just basic Excel spreadsheet skills. 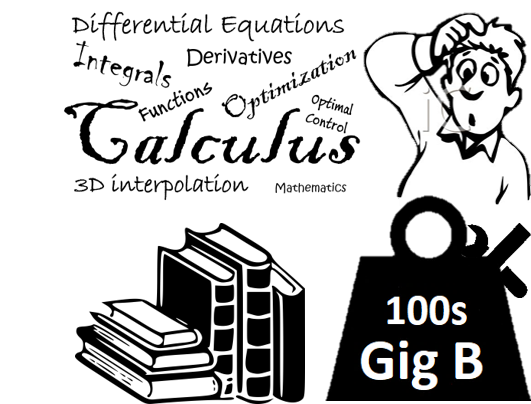 ✔Lightweight add in with superfast 20-sec installation and you are up and running. ✔State of the art proven algorithms that work with superior performance. ✔Share your results workbook easily with your co-workers. ✔Evaluate free to your satisfaction. ✔Get prompt support and answers to questions from our experienced team. 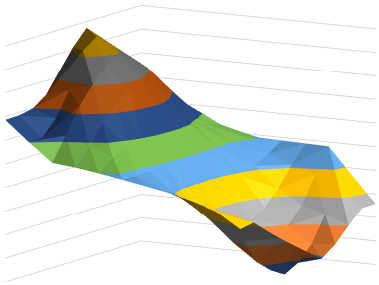 ".. the ability to share models and results in a highly familiar platform..with near-zero learning-curve in using the program, have compelled me to break from the past and put in the effort to move our models to ExceLab." "It is easy to learn and support provided by the admin staff is very nice. 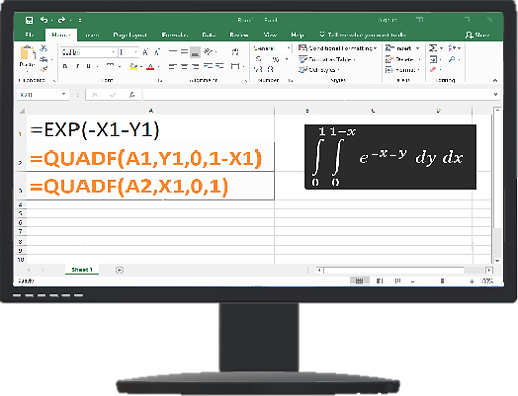 If anyone working on multi PDEs equation problems, just try this one you will love this solver"
"I found excel-works derivative functions quite useful. I was particularly pleased with the prompt response for assistance when I required some technical issues to be resolved....."
The functions offer you state of the art algorithms to effortlessly and accurately solve calculus problems with just basic spreadsheet skills and no programming. Navigate the Tabs above for quick examples. ∫ 0 1 ln x x ⋅ d x = ? f(x) = x&InvisibleTimes; sin(x2) +1 f´(π) = ? 104x1x2-1=0 e-x1+e-x2-1.0001=0 x1,x2 = ? See related journal publication Rapid Modeling and Parameter Estimation of Partial Differential Algebraic Equations by a Functional Spreadsheet Paradigm.Math. Comput. Appl. 2018, 23, 39. Obtain rapid solutions with minimal effort and simple formulas. No programming. 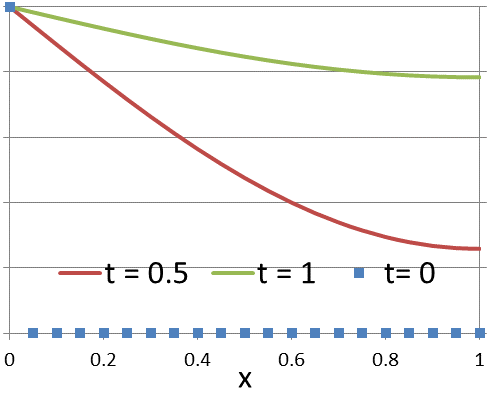 Novel structured direct solution procedure combining Excel Solver with the calculus functions. Method applicable to general (non standard) forms of optimal control problems . 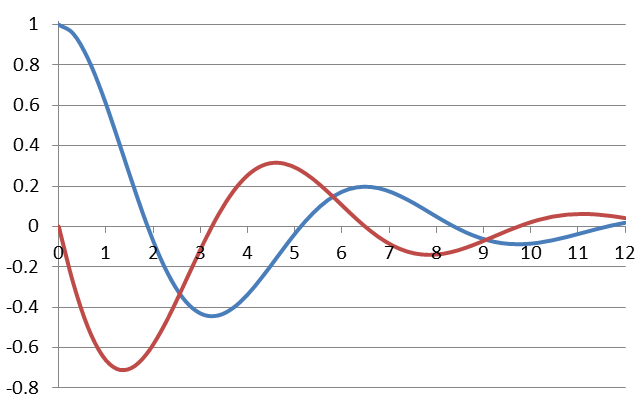 Remarkable convergence and performance illustrated by several examples. Consistent and sometime better results than complex methods. Rapid Solution of Optimal Control Problems by a Functional Spreadsheet Paradigm: A Practical Method for the Non-Programmer. Math. Comput. Appl. 2018, 23, 54. Novel Spreadsheet Direct Method for Optimal Control Problems. Math. Comput. Appl., 23, 6, 2018. Our product is engineered with over two-decades experience in computational calculus. 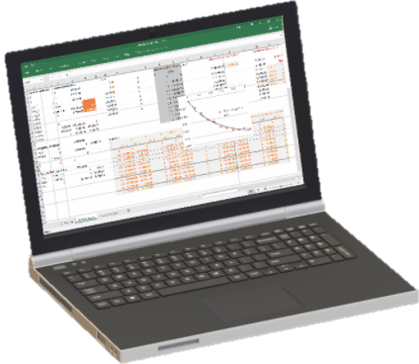 ExceLab add-in is based on an innovative patented technology that represents a breakthrough in the utilization of the spreadsheet application with natural extension of native math functions to calculus. ExceLab functions are unique and have no parallels in the history of the spreadsheet application since its inception in the seventies. We stand behind our product which stands on its own merits. We help you with fast and effective support from our expert staff. We deliver timely fixes to your issues. We listen to your needs. Get involved in shaping the next release with features that matter to you. lightweight efficient library with one click installation and you are up and running. State of the art proven algorithms that work. Best default settings yet you have full control with optional arguments. Flexible licensing plans that suit your needs. We invite you to explore the solved problems in the manual and evaluate freely to experience the difference for yourself. Excel is virtually on every computer. Very easy to learn the basics and use. Help your students spend their time solving problems, not figuring out how to use complex tools. 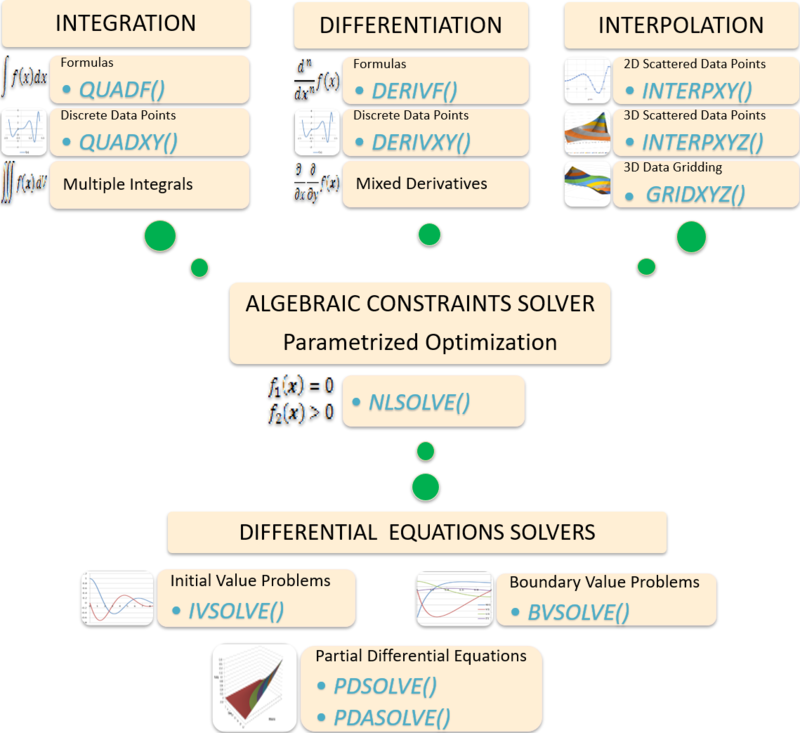 Intutive yet powerful differential equations solvers and integrated optimization. Simplified effective approach to optimal control problems for Engineering and Social Studies. Contact us for practical arrangements that suit your requirements. We do not share or sell any information collected from our customers. We do not send any promotional or unsolicited emails. We may occasionally email our customers important information related to transactions and our products. We do not view or store any credit card data on our servers. Credit card transactions are processed on secure third-party payment gateway servers using 256-bit encryption. ExceLab functions and methods are protected by USA Patents 9286286, 9892108, 10114812 and pending.